I was one of those lucky ones, who managed to pass my driving test the first time. God alone knows how, though, because I totally screwed one of my reversing around a corner and the examiner had to remind to me indicate at a junction! They tell me that driving tests are even harder to pass first time these days, so here are ten tips for learner drivers on how to pass your practical driving test. Don’t tell all your friends when your driving test is because they will tell you all the horror stories they have heard about mean examiners and their own test failures and, of course, they will have all the advice in the world on how to pass your test. Telling your friends will only add to the pressure, though, and worst still, your friends might even decide to hang out somewhere on the test route and try and put you off. Any driving instructor worth what you are paying him will know the routes the test examiners take and they will take you on practice runs around them. Get as much practice on the routes as you can and familiarise yourself with them. It will be one less thing to be thinking about when you actually take your driving test. The more often that you can practice your manoeuvres, the more comfortable you feel doing them on the day of your test. Practice will also help you feel less nervous and it’s nerves that are often the cause of driving teat failures. It can be very useful if you can get a friend, or a family member, who has a full licence, to give you extra tuition and practice on their car. Remember, the only reason that driving becomes second nature, is because people do so much driving. If you can get someone to help you out, suggest that they take out learner driver insurance, just in case. It only costs a few pounds extra per day. You are unlikely to pass your driving test if you get there all flustered and sweaty, so give yourself plenty of time to get to the test centre in the day of your test. Try and arrive at least ten minutes early, so you get plenty of time to check in and compose yourself. When you first get in the car, take your time adjusting the mirrors and the seat and make sure that you are perfectly comfortable before you set off. You certainly won’t pass your test, if you try adjusting the seat whilst driving, or you keep fiddling with the mirrors! As I said in the introduction, I felt pretty sure that I hadn't passed my driving test because of the two mistakes that I had made, but I was wrong. If you do make a mistake, don’t panic and give up. The examiner will be assessing how calmly you deal with that mistake and how well you correct it. After all, how you deal with the unexpected, is as just as important as how well you do on any part of your driving test. 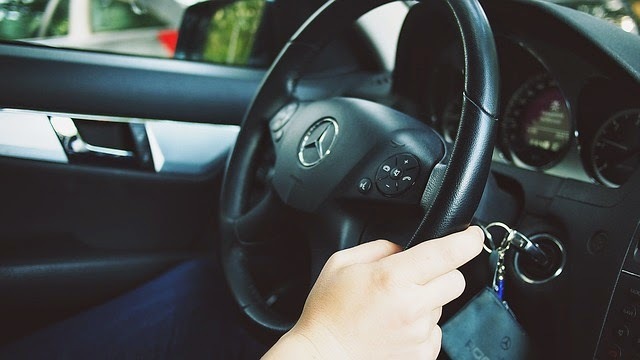 You will be nervous and all your concentration will be focused on your driving, so, if you don’t hear what the examiner has said, then ask them to repeat the instruction. You will be unlikely to pass your test, if you keep turning right, when the examiner says turn left! You’re not dressing to impress on the day of your driving test, so dress in something comfortable that allows you plenty of freedom of movement. Jeans, tee-shirt and comfortable trainers are probably the best bet. You nerves might mean that you don’t feel hungry, but do try to grab a bite to eat before you take your driving test. If you are hungry, and, or, thirsty, then that will only increase your nerves and stop you concentrating properly. Try not to think too much about the examiner, concentrate on the road and concentrate on driving smoothly. They've seen it all before and they will spot it, if you take a peek at their notes. Think positively and you will have a better chance of passing your driving test. Being in the right, positive frame of mind can make all the difference on the day of your test between a pass and a fail. So, come on, say it! I am going to pass my driving test!